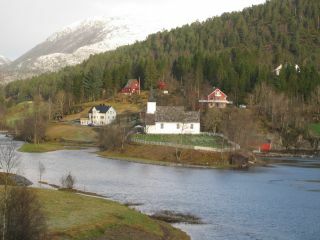 Frøyset is farm no 7 in Masfjorden municipality on the north side of the Fens fjord, north of Bergen. Frøyset is in the inner part of the Frøyset bay, a side arm of the Fens fjord. Neighbour farms are Risnes in south, Torsvik and Rambjørg in west, Tangedal and Sleire in north, Lauveide and Hosteland in east. Frøyset is about 2 hours drive from Bergen or Førde. One of the three churches in Masfjorden is at Frøyset. The church was built in 1937. 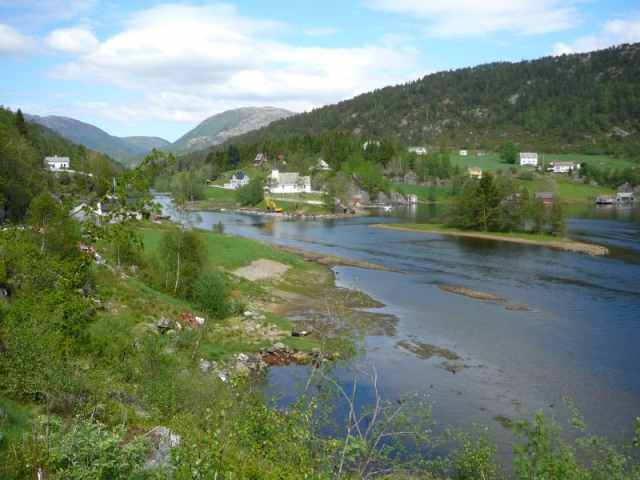 It is beautifully situated at Neset ("The headland") and is encircled by Frøyset river, Frøysetvågen (Frøyset bay) and Austevågen (East bay).